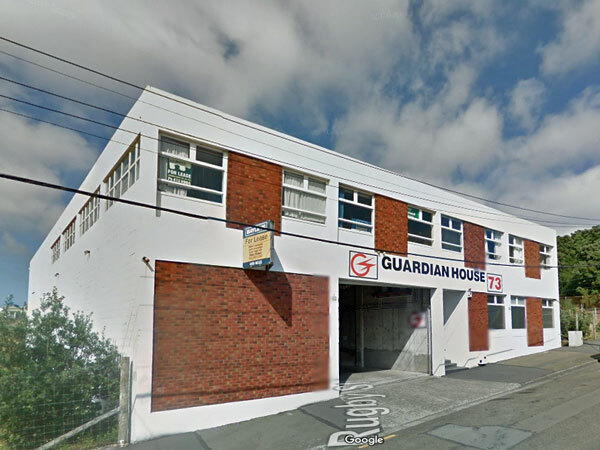 In the early 1960s the training school was moved from the old army buildings at Trentham to a new two-story building in Rugby Street. 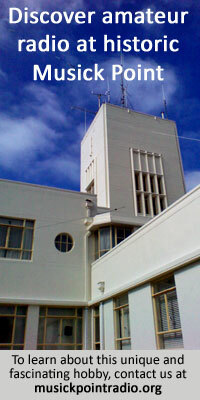 The downstairs floor was used by the Post Office Parcels Branch but the upstairs floor was occupied mostly by the NZPO Quartz Crystal Manufacturing Lab while the Radio Training school occupied two large rooms – one at the rear of the building and one at the front overlooking Basin Reserve. The building is still standing (September, 2017). As you can see in the photo above, it’s about the only building of the era left in the street. The windows with the “For Lease” signs in them were the front room for the Radio School. Some of the windows to the right lit the stairwell, from memory. A main passage way ran pretty much on the centre line for the length of the building until it hit the wall of the second classroom. At the time I attended, Bill Glavin was the Senior Instructor and Ian Grant (of Pass the Salt fame on TV) was his assistant. The classroom at the rear was just that, a classroom and used by more junior classes instructed by the Assistant Instructor. The front room was also a classroom but had an area for basic test gear for lab work and practical experience and was usually used by more advanced classes. I’m pretty sure the photo above was taken in the front room. 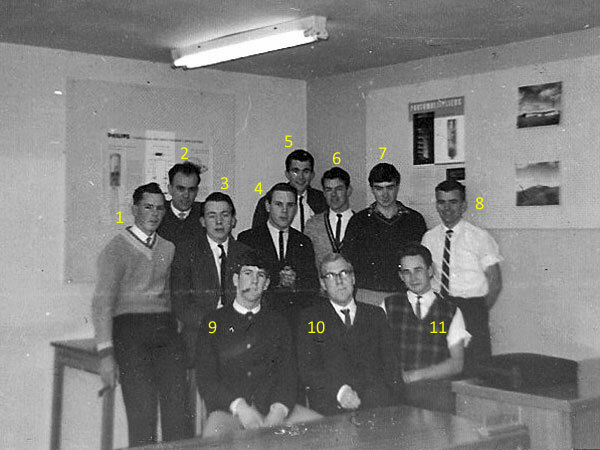 Bill Glavin is the instructor and the only other person I recognise is Dave Robinson (2nd row on the left hand side). Some names are written in pencil on the back of this photo, but even though I knew some of those named I don’t recognise them in the photo. Brian Fanning, ? Cook, ? Hart, N McGibbon, John Dawson, Dave Robinson. Kelvin Watson was later the head of General Section when I started in 1965 at the Wellington Radio Depot. He was a really good boss, and I learned heaps off him. I don’t recognise the other two guys in the photo. Instructor Ian Grant (standing under the giant slide rule) with trainees in the back classroom of the Rugby St school. Date unknown. Courtesy Chris Underwood. Trainees working with PETE (Phillips Electronic Training Equipment) in the front classroom at Rugby St. Date unknown. Courtesy Chris Underwood. Click to enlarge. 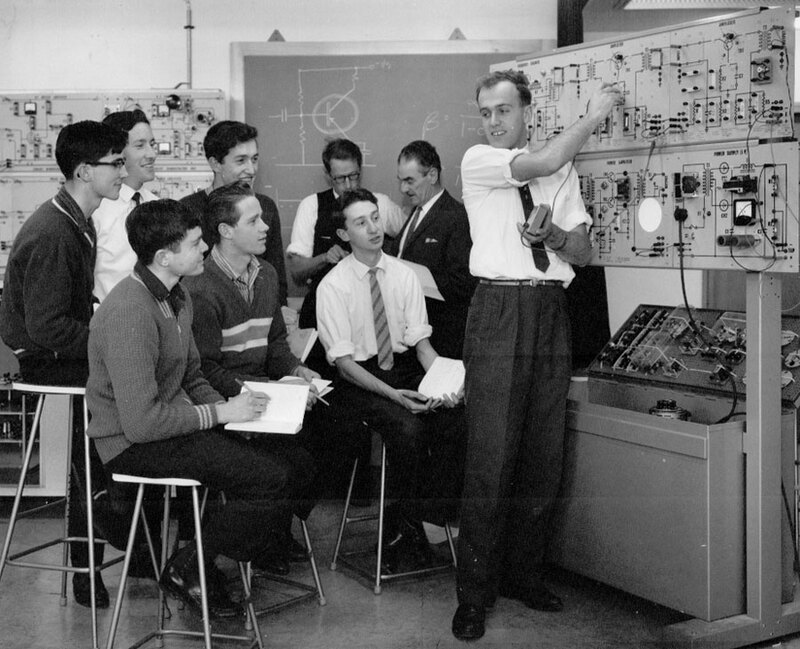 Trainees at Rugby St radio training school in November 1963. Photo courtesy Terry Hart. Click to view original. I attended Rugby St Radio School in 1963 for 1st Stage and in 1964 for 2nd Stage. Back then, you needed to score 80% or better in the interim tests or you would be invited to join the PO telephone section! The schools gave a very good grounding in radio technology. Later, I attended Petone Polytech for specialised courses in radio communications, microwave and pulse techniques that rounded everything off for the 1st Class Certificate in Radio Technology. If you can identify any of the people in these photos, or have other information about New Zealand Post Office radio training schools, please contact the editor.